Twitter and the blogosphere are abuzz, as usual, with today’s release of the July monthly jobs estimate. I’ve cautioned several times that reading too much into this number is a bad idea. Partly it’s because the first estimate is liable to change—a lot. But there’s another really important reason: labor force participation—who’s actually actively working or trying to work—is another crucial indicator of how we’re doing. If the unemployment rate is only falling because discouraged job seekers are giving up, then we haven’t solved any problems. In fact, new research by my colleagues Austin Nichols and Stephan Lindner shows that while the labor force participation rate indeed fell, the story is not about discouraged workers giving up. Instead, fewer workers than before are entering the job market, and much of that decline is among young women. On the face of it, this may not be a bad thing: perhaps young women are simply seeking out more education and better skills that will make them more employable later. 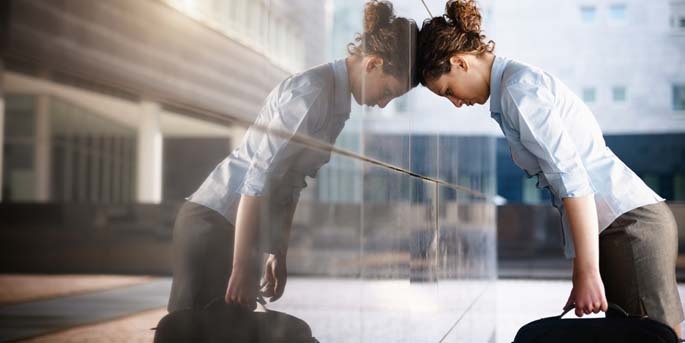 It’s also possible, though, that millennial women simply feel discouraged about the job market and aren’t job searching right now. The upshot: many things influence the job market, and we really don’t know enough to say for sure if things are looking up or down. Photo from shutterstock. 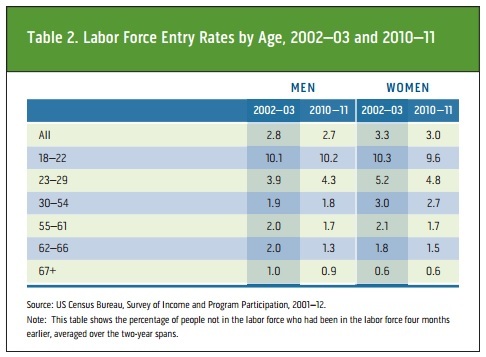 Graphic from Urban Institute report: Why are Fewer People in the Labor Force during the Great Recession? Thanks for sharing your thoughts on labor force participation rate.